One Ghana, One Voice: Which artist most influences Ghanaian poetry? Which artist most influences Ghanaian poetry? 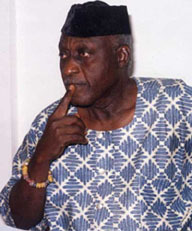 Kofi Awoonor was listed as an inspiration by nineteen different OGOV poets, far ahead of Maya Angelou, Kofi Anyidoho, and Wole Soyinka, who were each mentioned thirteen times. The diversity of this list is noteworthy: many Ghanaian authors, and others from Africa, but also English and American writers. And Mutabaruka, for good measure. This post marks the end of our series on Ghanaian poets' influences. Click here for an overview of this project, and to read the lists that came before. Interesting responses. I might go for several: Atukwei Okai, Emily Dickenson, Alexander Pope, etc.